Please see this support article to help troubleshoot any issues using Microsoft To-Do with your Office 365 work account and this support article to troubleshoot enabling Microsoft To-Do for your tenant. 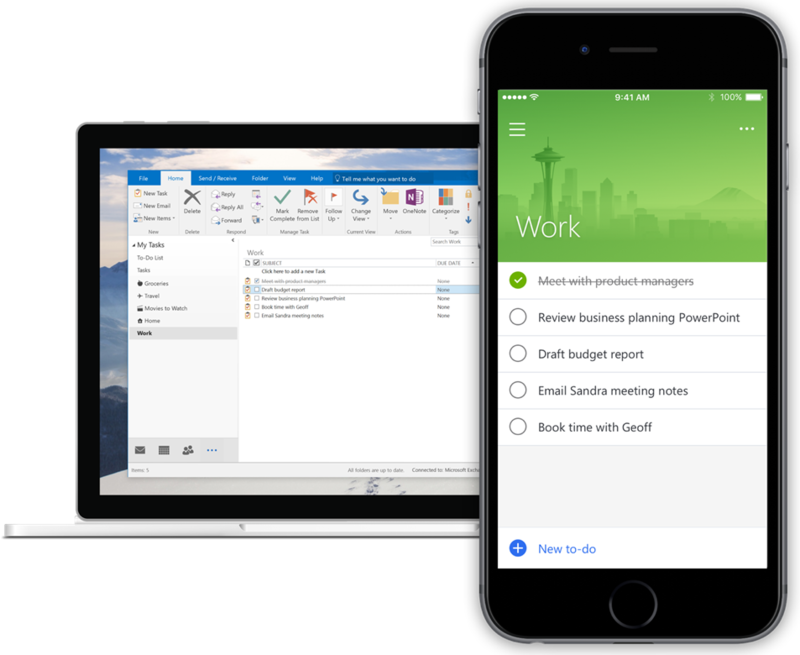 Microsoft To-Do comes from the team behind the Wunderlist app, and delivers a smarter, more personal and intuitive way to help people stay organized and get the most out of every day. Powered by Office 365 integration and an intelligent algorithm, it is the first step on our journey to simplify task management and help you achieve more. Managing your to-dos and lists can sometimes take as much effort as completing them. 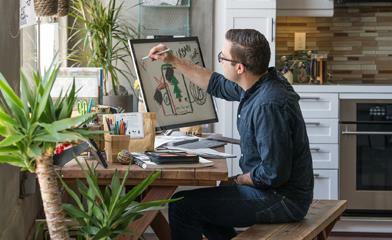 Microsoft To-Do helps you focus and plan your day from the moment you open the app. Every morning, your My Day list starts out with a clean slate, allowing you to be more intentional about what you want to get done. You can also tap Intelligent Suggestions for ideas on what’s most important. Just tap the lightbulb, and you’ll see any to-dos from the day before, what’s due or upcoming, and other helpful suggestions based on Microsoft To-Do’s smart algorithm. Just add the ones you want to get done to My Day. Microsoft To-Do is built on Office 365, which in coming months will enable the product to be even more useful in more places. Our first integration with Outlook makes it easy to stay on top of your Outlook Tasks from anywhere. It will automatically sync your Tasks with Microsoft To-Do, and allow you to access and manage them across devices. As the only task management app built on an enterprise cloud, Microsoft To-Do offers the advanced security that our Office 365 customers expect. Data is encrypted in transit and at rest, and Microsoft To-Do is served out of our hyper-scale, global network of data centers. For commercial users, IT professionals can now enable the Microsoft To-Do Preview through the Office 365 admin center. Today’s Microsoft To-Do Preview would not have been possible without the support and input of Wunderlist fans over the last six years. In the coming months, we’ll bring more of the favorite elements of Wunderlist into the Microsoft To-Do experience, adding features such as list sharing, apps for Mac, iPad and Android tablet, as well as additional integrations with other Microsoft services. Once we are confident that we have incorporated the best of Wunderlist into Microsoft To-Do, we will retire Wunderlist. While the name and icon may change, the team that brought you Wunderlist continues on. We look forward to making Microsoft To-Do even more useful, intuitive and personal. Get Microsoft To-Do Preview for iPhone, Android, Windows and the web today. We would love to hear your thoughts and ideas on what you think would make Microsoft To-Do even better. You can talk to us via our in-app contact form, on UserVoice, Twitter or on Facebook.